1. Bailey Brkin, Spokane Chiefs: The Spokane Chiefs goaltender stopped 34 of 35 shots in a 2-1 win against the Everett Silvertips Saturday. Brkin stopped five shots in the first, then stopped all 29 shots over the final 40 minutes to earn the victory. The Sherwood Park, Alta. 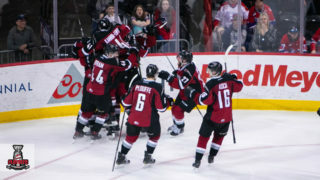 product has played a leading part in the Chiefs’ playoffs success in 2019, sporting an 8-2 record, 2.66 goals-against-average, and a .931 save percentage. 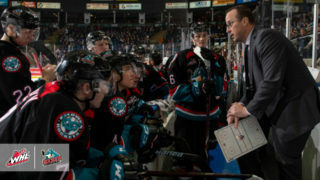 For his WHL Playoffs career, Brkin has a 9-3 record, 2.56 GAA and a .923 SV%. 2. 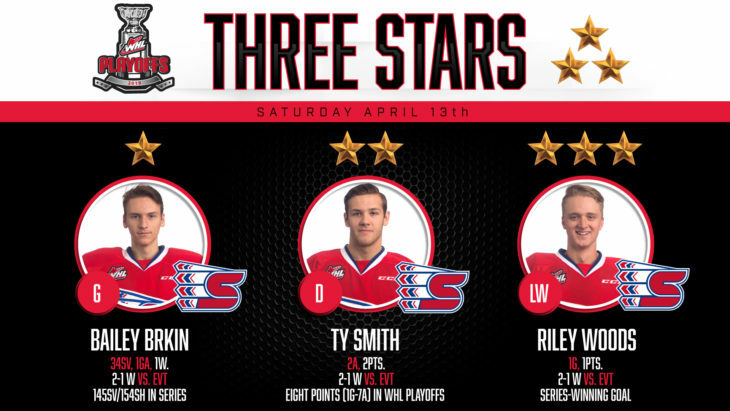 Ty Smith, Spokane Chiefs: The New Jersey Devils prospect and Spokane Chiefs co-captain had a pair of assists as his team won 2-1 against the Silvertips Saturday. Smith earned the lone assist on their first goal and then pulled off an incredible pass to earn the primary assist on the game-winning goal. 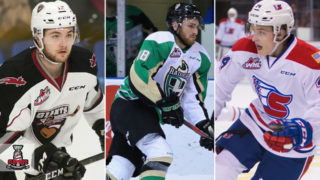 In the 2019 WHL Playoffs, Smith has eight points (1G-7A). 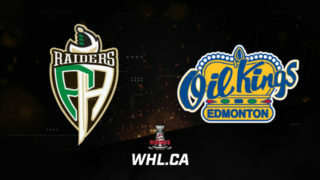 For his WHL Playoffs career, Smith has 15 points (3G-12A) in 17 games. 3. Riley Woods, Spokane Chiefs: The 20-year-old Chiefs forward recorded the series-winning goal in Saturday’s 2-1 win against the Silvertips. 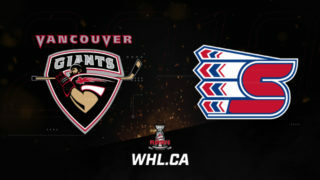 Woods scored Spokane’s second goal of the game 5:24 into the second period on the power play. The Regina, Sask. 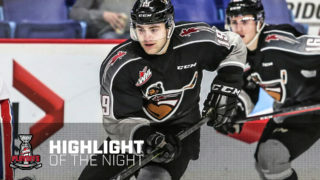 product has 11 points (6G-5A) in 10 games during the 2019 WHL Playoffs. 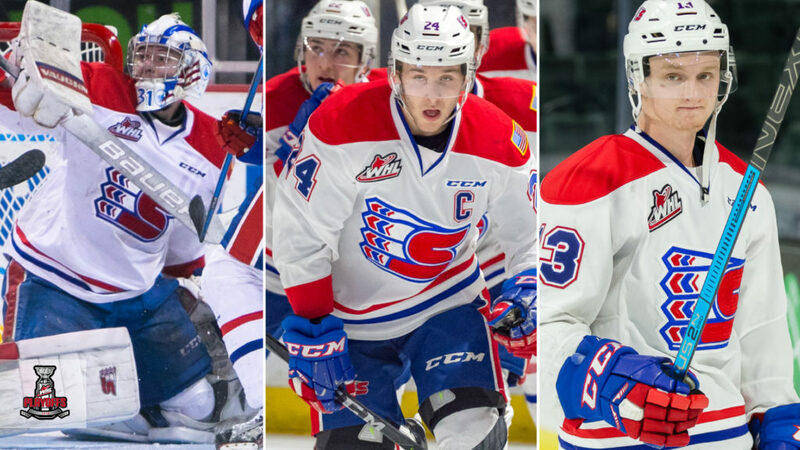 He has 18 points (8G-10A) in 26 games for his WHL Playoffs career with the Chiefs and Regina Pats.